Every golfer yearns to have a steady golf swing. The ability to prognosticate where the ball will touch down and when to punch it is the answer to better scores in your round. Golf swing tempo drills will help you achieve an easy swing which is repeatable. You will, however, have a hard time developing any consistency if you fill your mind with many swing ideas. Continue reading below to know how to achieve a consistent golf swing. They say practice makes perfect. You cannot expect to make good contact with the ball and get accurate distance if you do not practice. Consistent swings are essential for any golfer. Practice swings every time to achieve steady golf swing or tempo. More tips here on driving a golf ball. It is an excellent idea to discover your best tempo through making three uninterrupted practice swings, not including a ball. It is easy to get getting into a dilemma when you either speed up or slow down or speed your natural tempo. If you are a golf beginner or one that finds it difficulty taking divots, swoosh drill is what you should utilize. This drill lets you fully let go of any nervousness from the trailing arm. This way, you get to know that the golf swing is a composed action. Regular practice of the swoosh drill will help you swing with a consistent tempo to achieve a balanced ball hitting. Swoosh drill can be done anywhere. You can have proper rhythm by practicing drills regularly. To discover the easy way to a consistent simple golf swing click this link. Do you ever find yourself hitting the ball with as much force as you can? Do you find yourself moving off the ball? Most golfers make this mistake. Swinging the body is detrimental to striking the golf ball consistently. Try to slow down your swings and remind yourself to keep the upper body at the same level when turning the shoulders. Additionally, you can ensure your back knee remains steady and flexed. Slowing down your golf swing will help you to be a dependable ball striker. Find out about distance finders here. It is obvious you want to become a golfing star. But that is not going to happen if you will not learn and master one technique. Ever teacher sees the golf swing differently. It is crucial, therefore, to find one teacher whose instructions you will find easier to follow. It can be more straightforward to master the positions and build a steady golf swing. Here is a link from BBC of Rory Mcllroy giving his golf swing drills.The key to achieving a sustained golf is swing is by practicing one technique that you will get familiar with. It is essential for all golf beginners and novices to know that tempo is a more critical aspect of an excellent golf swing. If you can keep a smooth, constant speed throughout, it is easier for you to manage your ball flight and strike steady shots in every hole. While rhythm is not one of the most thrilling things to train, it is among the primary keys to enhancing your game. 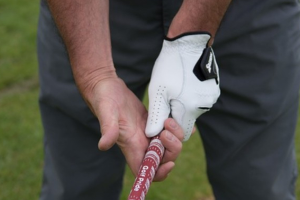 In every area of your game ensure you practice regularly to be a better striker of the golf ball.